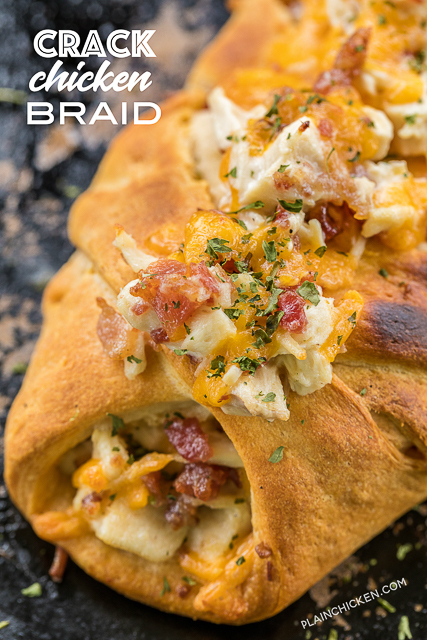 Crack Chicken Braid recipe - crescent rolls stuffed with chicken, cheddar, bacon and ranch. SO easy!!! 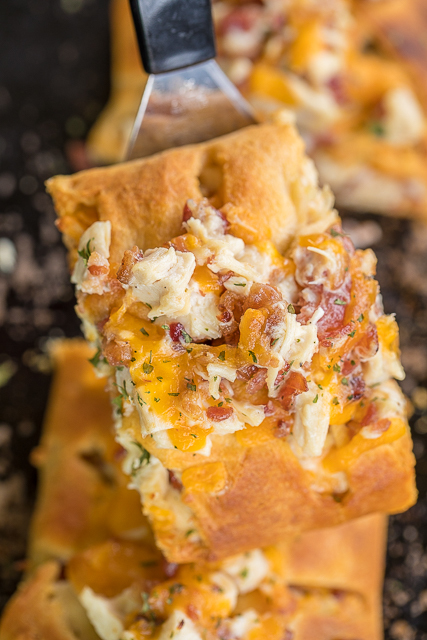 Great way to use up leftover chicken. We make this at least once a week! It is THE BEST!!! 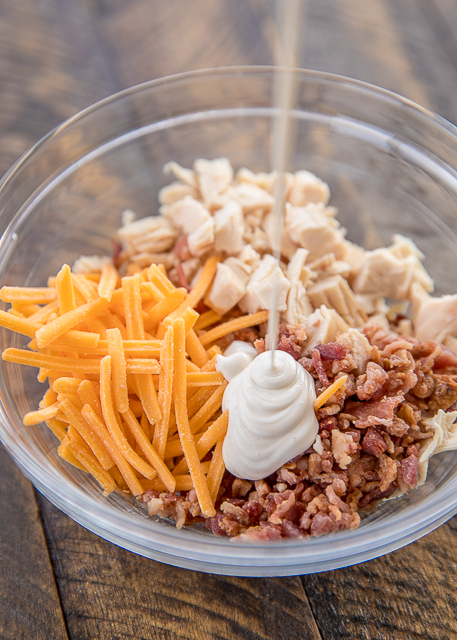 If you follow the blog, you know one of my favorite flavor combinations is cheese, bacon and Ranch. We refer to this combination as "crack" because it is SO delicious and SO addictive! This "Cracked Out" Chicken Braid is no different. We actually ate this twice in one week! We couldn't get enough of this braid! Chicken Legs especially loved this. I knew he would love it. He loves all of the "crack" recipes. I mean what's not to love? 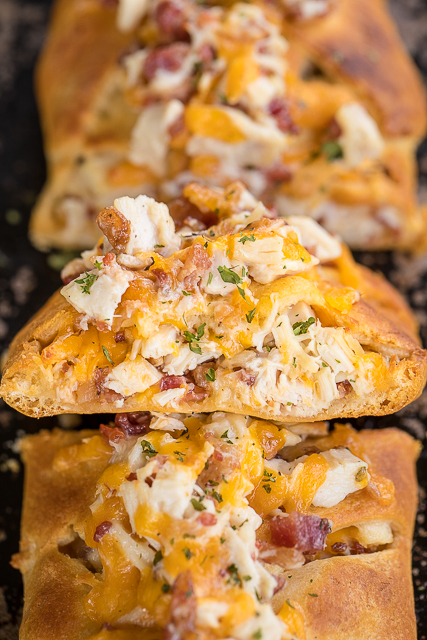 Chicken, bacon, cheese and Ranch? YUM! It is even more delicious because it is all wrapped in a crescent roll. 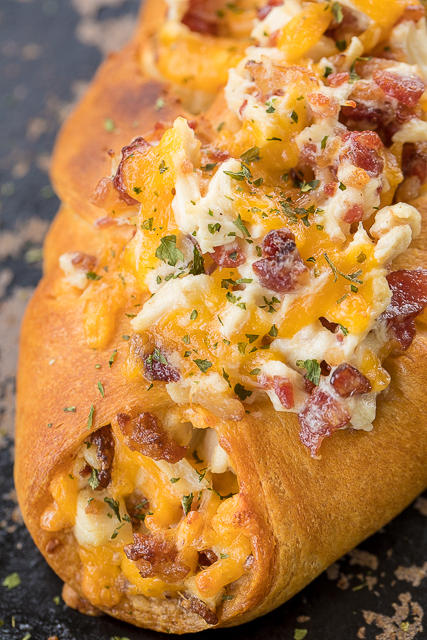 Isn't everything better wrapped up in a delicious crescent roll? If you are worried about fat and calories, you can definitely use 2% cheese, turkey bacon and reduced-fat crescent rolls. I haven't found a reduced fat Ranch dressing that I like. If you have one that you like, let me know! I like to save a little of the filling and spread it on top of the braid while it is cooking. If you decided to do this, cook the braid first and the extra filling on top during the last 5 to 7 minutes of baking. If you put it on top before baking, the dough won't cook all the way through. Roll out crescent rolls vertically on baking stone, do not separate and seal perforations. 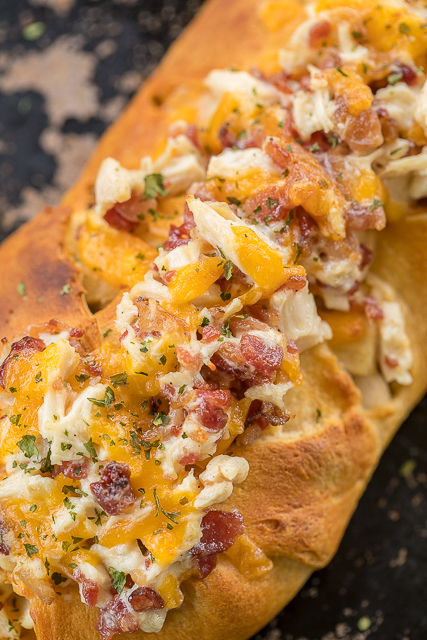 Mix chicken, cheese, bacon and Ranch. Spread chicken mixture down center of crescent rolls. Bake for 17-20 minutes - until lightly browned. I can't wait to try this! We, too, love chicken, cheese and ranch. Thanks for sharing. I can't wait to give this a taste test! Have you tried naturally fresh lite ranch? It's one of our favs. The jalapeño ranch is awesome on fish tacos or anything else you want to spice up! The jalapeño ranch sounds good! YUM! Imagine the possibilities of what you can put in the crescent rolls. Can't wait to try this! I don't usually like light or reduced fat ranch, but I think Wishbone has a light Buffalo Ranch that is pretty decent. The only bottled light Ranch dressing I like is the ALDI brand one. But if you don't have an ALDI near you, you could make your own light Ranch dressing with a packet of Hidden Valley and reduced fat mayo or sour cream. What kind of ranch do you use? This looks great - I'm with y'all - what's not to love with the "crack" ingredients! I make my own ranch with the buttermilk HV packet, 1 cup of buttermilk and only about 1/4-1/3 cup mayo. It's a little thinner but doesn't have the sour taste of other lite ranch dressings. I haven't figured it up but it's gotta be less calories. I love your blog and regularly share your recipes. 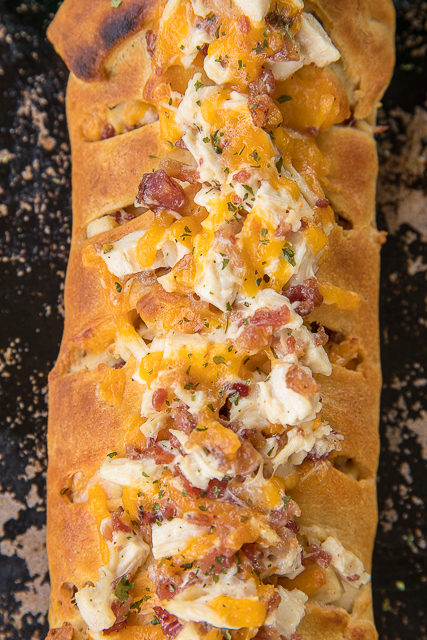 I make a version of this but I use a can of Pillsbury Artisan style French Bread for the pastry. The regular french bread is a bit difficult to work with, but I love the artisan style for braids and people go nuts for the,. I honestly had a real hard time keeping the croissants together im going to have to find a sub for that lol but I used garlic ones which I think will add great flavor as well as I added green onions to the filling the recipe sounds great though cant wait to try it oh and WDE!! We were at the rose bowl too! !